We pride to have been born from coffee farmers self-initiative, who tirelessly strive to produce the best of coffee beans in east African region. 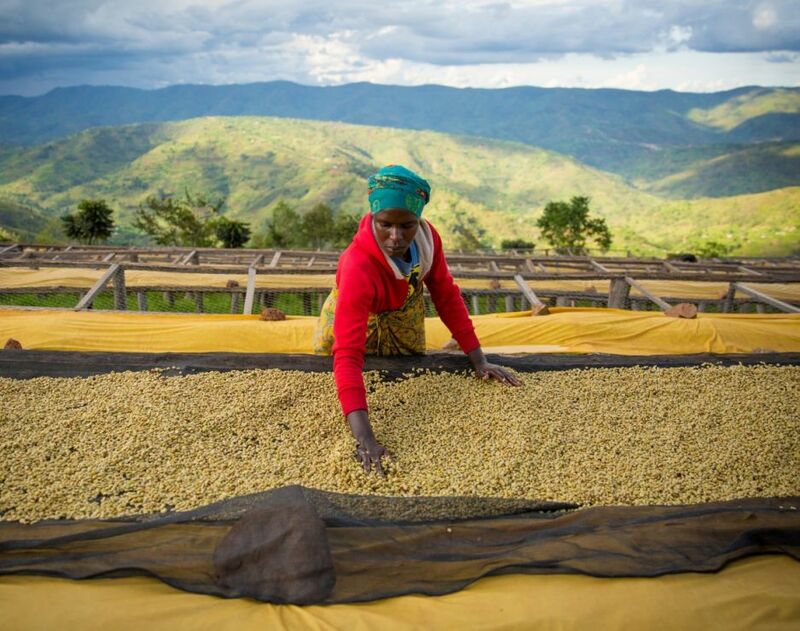 The farmers of Dukunde Kawa cultivate antique bourbon Arabica varietals, prized for their rich sweetness and subtle expressions of soil, climate, and terroir. 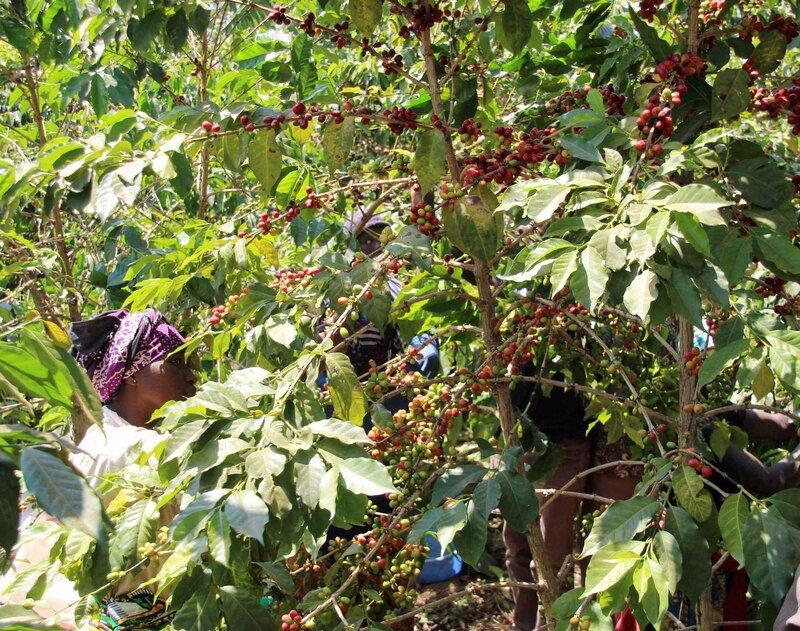 The farmers careful stewardship of their trees throughout the year yields heavy harvests of juicy red coffee cherries, which are the starting point for great coffee. 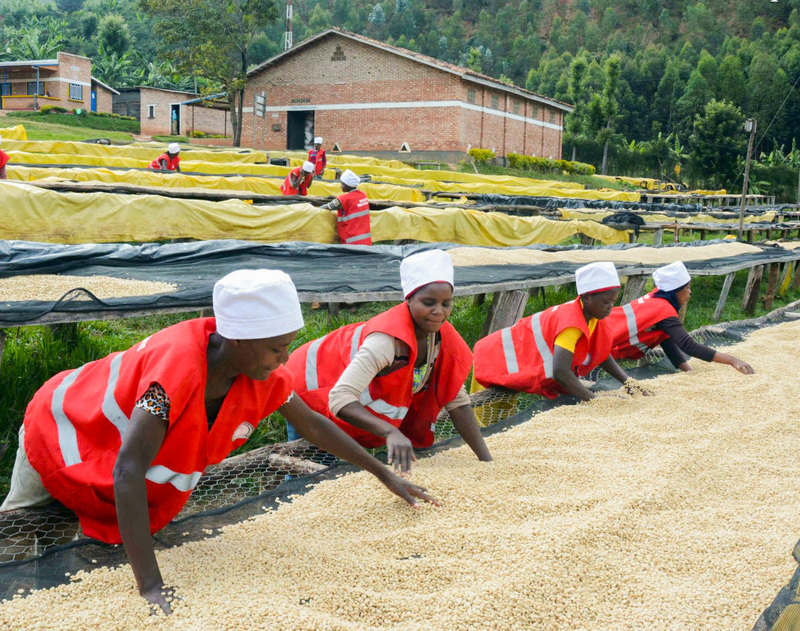 Dukunde Kawa started in 2003 with 300 members; there are now 1176-member farmers in the cooperative, contributing coffee to a total of 4 washing stations, the largest of which being the Musasa station. Abahuzamugambi ba kawa, although we prefer calling ourselves Maraba, is the umbrella cooperative organization that oversees and manages the activities of four coffee washing stations; Sovu, Kibingo, Kabuye and Cyarumbo. The cooperative accounts more than 1372 members of which 56% are male and 44% are female. The coffee producers are from various sectors of Huye district. On average each farmer of the group has 435 trees. 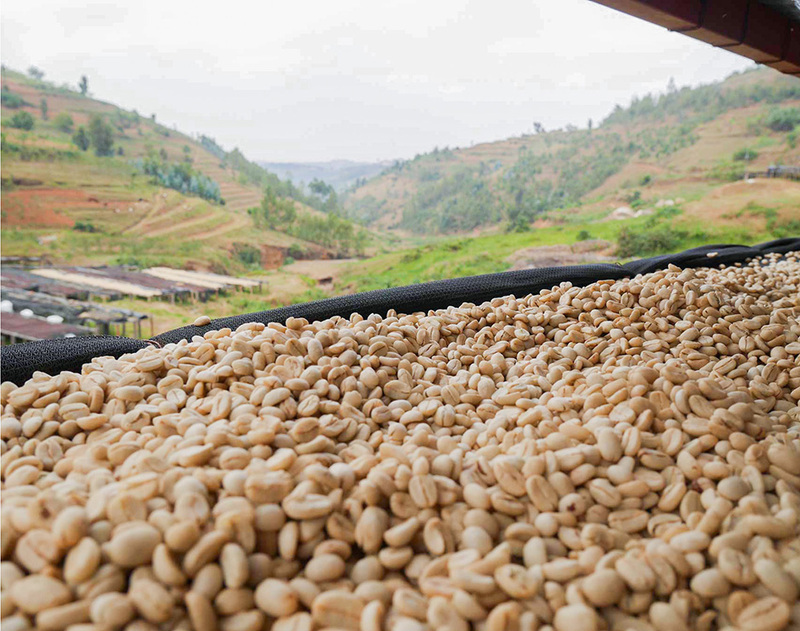 Our long-term experience in coffeee farming make us the world's first Rwandan specialty coffee. KOAKAKA Karambi Cws was constructed in 2003 to help members who come from 3 sectors (Kinyamakara, Karama and Rukondo) which are in Nyamagabe district of southern province to generate more income for its members. Our location is an area known as part of high Mountain in Rwanda which all nurtured and ideal land to produce the best quality coffee in the country. In addition, our members are experienced coffee farmers and supply cherries that are fully ripe with greater consistency which results in wonderful flavor. Our coffee have been awarded with different prize in the Golden cup and the cup of excellence competition since 2007 (golden cup), 2008, 2010, 2011 and 2013. Our washing stations is strict in wet processing chain where careful removal of undesirable cherries is done at the reception through two consecutive process first by hand picking and sorting, then through wet immersion of cherries and removal of floating cherries. After the de-pulping and cleaning, a second selection is done followed by a progressive sun drying to end up with one the best coffee profile. The cooperative was created in 2004 and has about 1,031 members. Its coffee washing station provides jobs for many members of the community, with a workforce of 90 percent women. COCAGI’s members come from different administrative sectors, including Nzahaha, the area recognized for having the highest amount of coffee trees in the country. In this area, the high altitude combined with volcanic soils give a unique flavor and taste to the coffee. 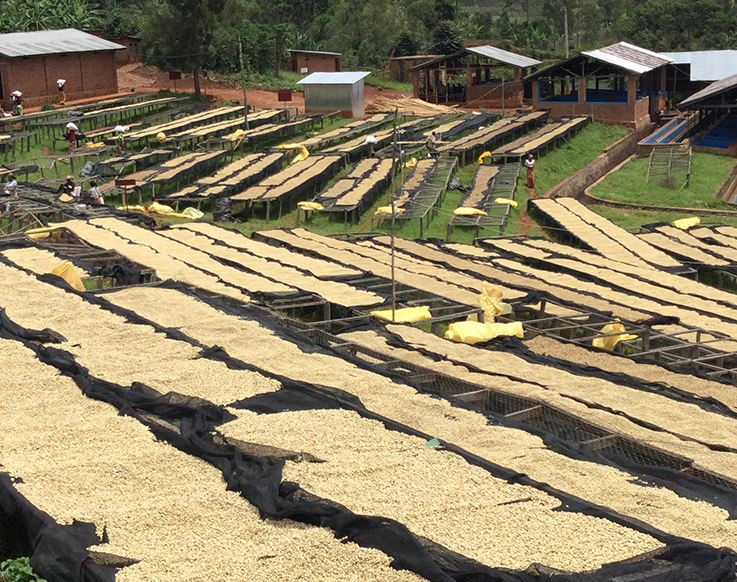 COCAGI strives to support other producers, regardless of the amount of coffee they grow. COCAGI has been Fairtrade certified since 2005, and since then we started exporting its certified coffee. The co-op has participated in Cup of Excellence competitions and is committed producing high-quality coffee year after year. We produce 100% bourbon cultivar which has a distinctive cup profile of sweet rounded tangerine acidity, morello cherry notes in the aftertaste. 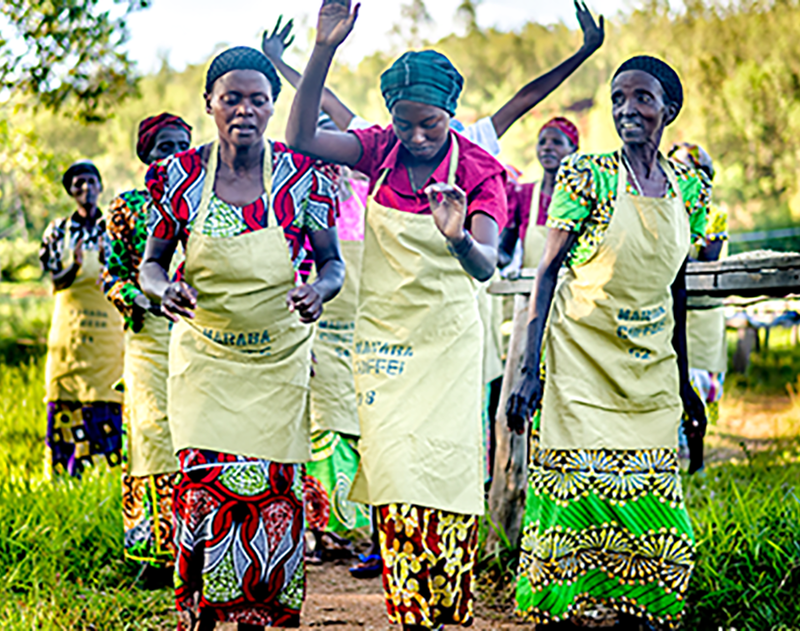 Buf Café now owns three coffee washing stations - Remera, Umurage and Nyarusiza - as well as its own coffee trees, and buys coffee cherries from as many as 264 surrounding smallholder farmers, as well as three different local cooperatives! At Buf’s Nyarusiza washing station in 2014 there was a total of 798,685kg of cherry delivered throughout the season.